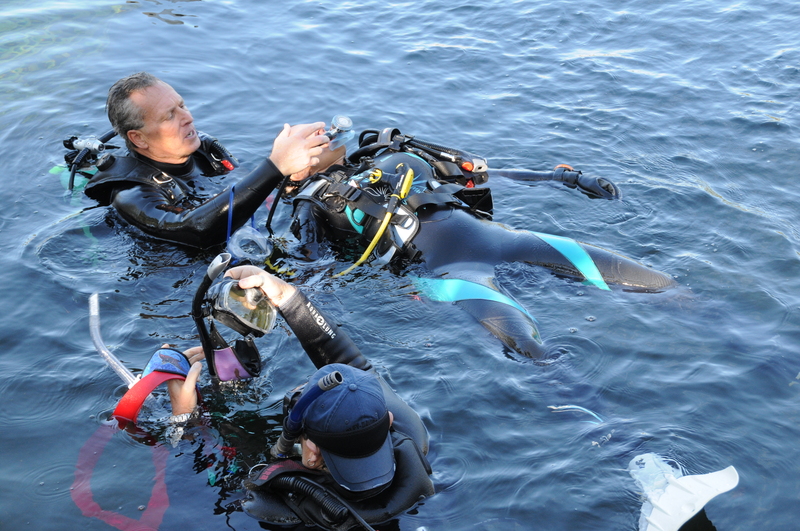 During this course you’ll learn to prevent and manage problems in the water, become more confident in your skills as a diver, and know that you can help others if needed. Advanced Open Water Divers who are at least 12 years old and have completed the Underwater Navigation Adventure Dive may enroll in a Rescue Diver course. You also need to have Emergency First Response Primary and Secondary Care (CPR and First Aid) training within the past 24 months. You can complete this training with me during the Rescue Diver course. You may also take the PADI Emergency Oxygen Provider specialty diver course with me at the same time. The PADI Rescue course usually involves a minimum of four dives over the course of a minimum of two days. If you prefer, you can choose to study with the Rescue Diver Manual and watch the Rescue Diver Video (a book and DVD package, complete with a pocket mask). You’ll use your basic scuba equipment and will need a pocket mask to practice in-water resuscitation. During exercises, you’ll work with an oxygen unit, floats, marker buoys and perhaps CPR mannequins. You may need additional gear, such as your own first aid kit, which will be useful throughout your diving career.